Some of my friends may remember that for several years I was a Big Sister for Big Brothers Big Sisters. Since at the time I was terrified of young children (silly me), I signed up for a teenager, and I ended up getting the coolest teenager in town – Stephanie. We spent four years together, going through some pretty major life experiences and changes, and I got to watch her grow up to be a beautiful woman. That was several years ago. When I found out that Stephanie was expecting a baby boy, I just had to make little Grayson a baby quilt. I used this tutorial, and was able to whip it up in just a few sittings. I quilted in the “ditch” on all the colored fabric, then did several vertical lines up the white sashing to add a little extra texture. 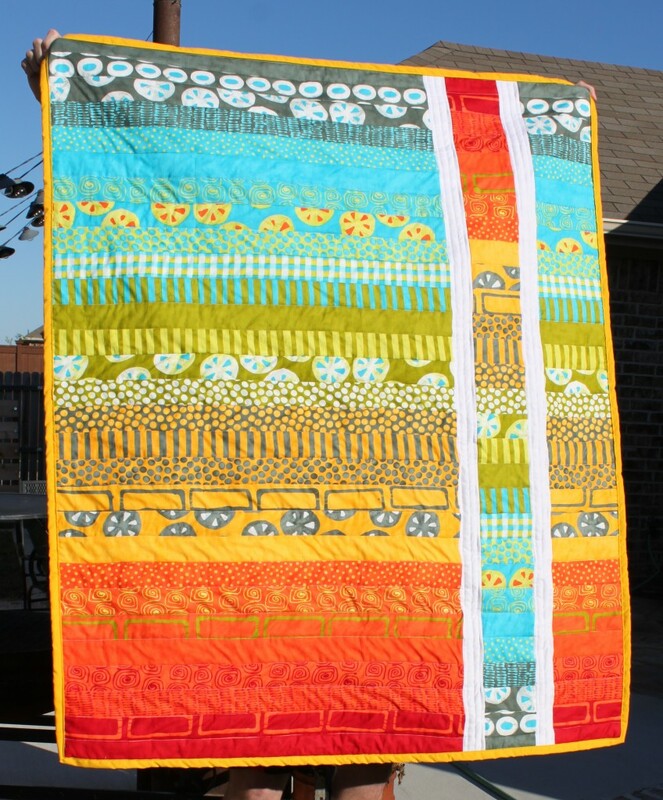 I try not to over-quilt baby quilts because I want them to stay soft and squishy for the little ones using them. 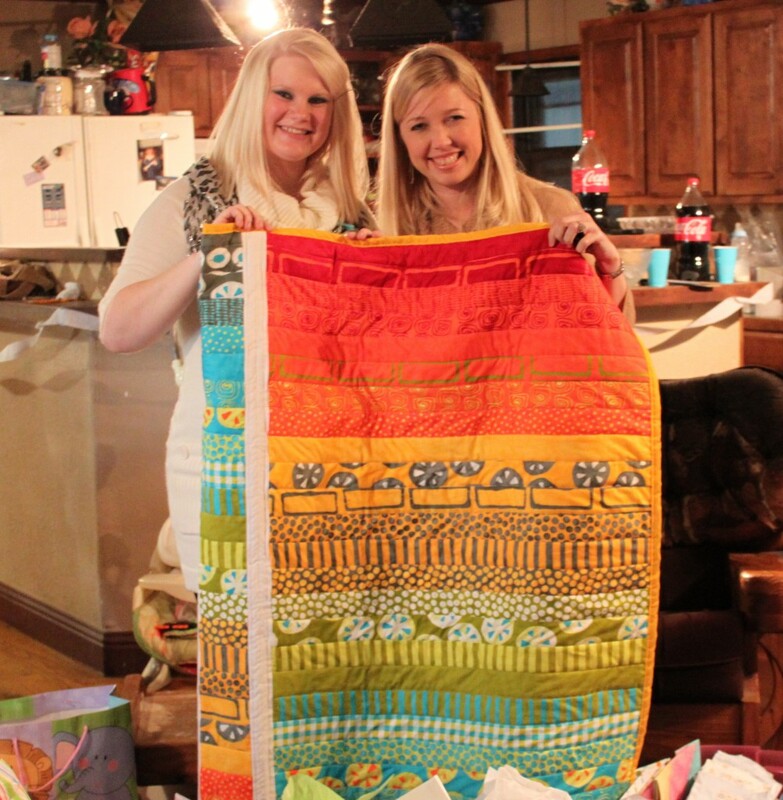 Last night I got to give the quilt to sweet Stephanie, mama-to-be, and my forever friend. I can’t wait to hold that sweet baby boy of hers! 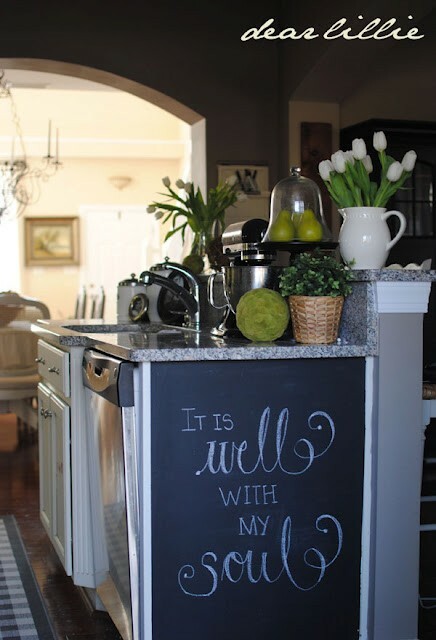 My mama kept a chalkboard in our kitchen when I was a child – we used it for shopping lists and spelling words and reminders. My dad taught my sister and I how to play softball by drawing diagrams on that chalkboard when I was in the third grade. Who knew that my mom was absolutely ahead of her time when it came to decorating her house with chalkboards. For awhile I thought white boards were the wave of the future, but as usual, mama knew best. 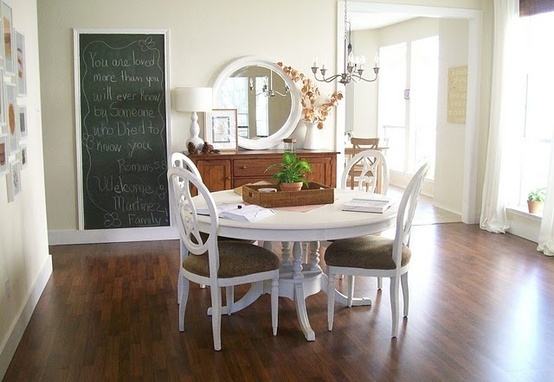 And we’re pinching our pennies until we can turn this frame into a giant chalkboard/menu in our dining room. We tried to do it ourselves with plywood but it’s just too big, so we’ll be taking her to be professionally done at our local framing store. Soon. Until then it’s backed with burlap and I occasionally hang seasonal bunting on it to add a little color. 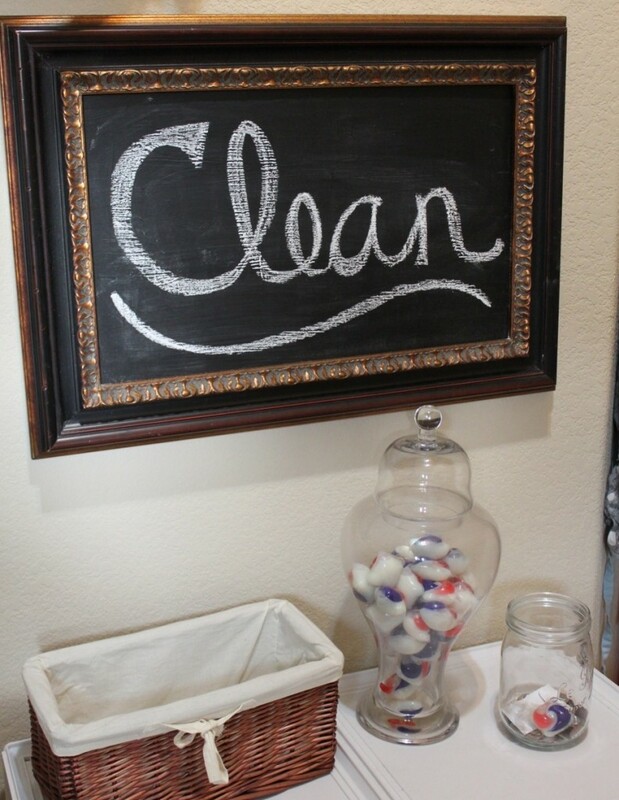 Our marriage mentors have one of these in their kitchen that they post bible verses and prayer requests on. What a sweet way to keep the family on the same prayer page. 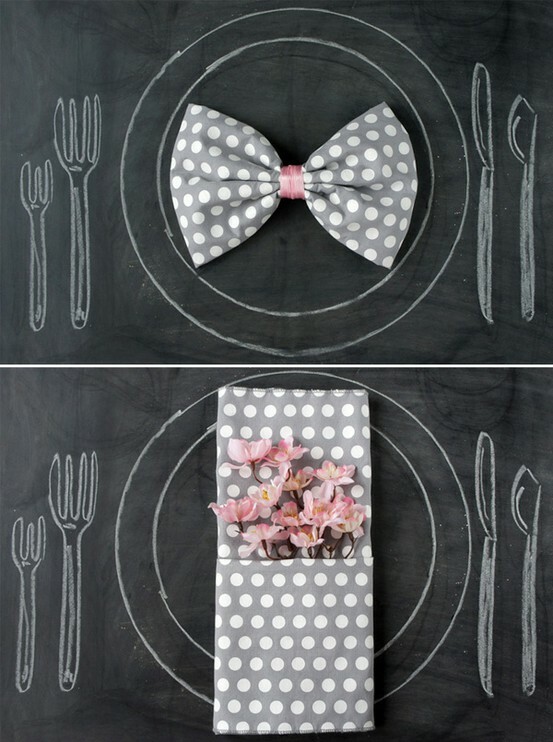 Or how about some chalkboard place mats? 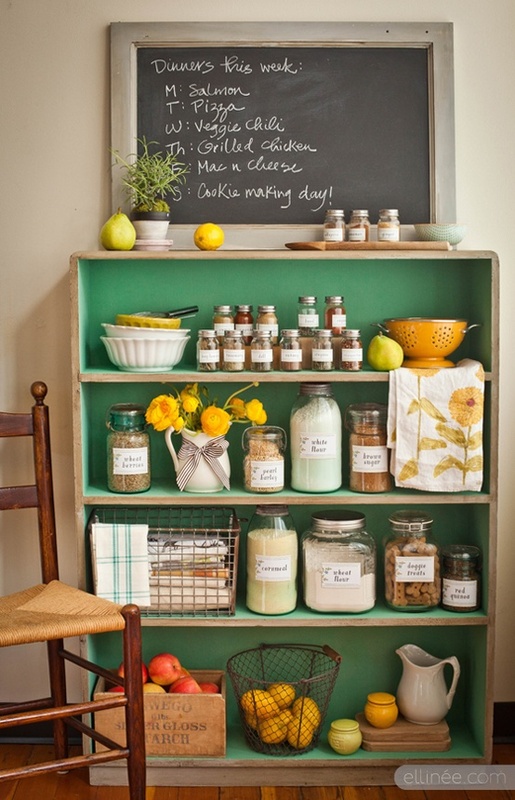 A weekly menu (ps- don’t you love those green shelves?). 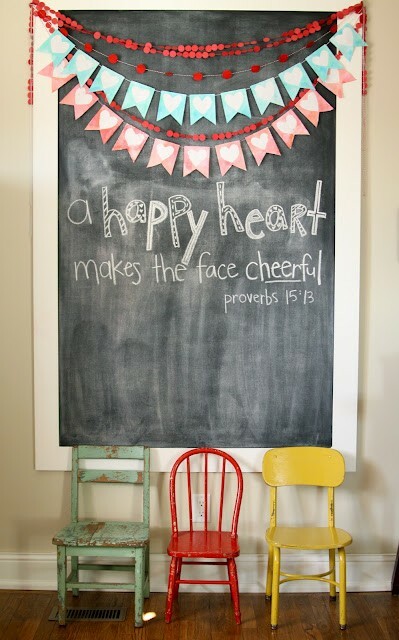 Chalkboards + bunting = bliss. And then there’s this great endcap to a kitchen cabinet – perfect height for littles ones to enjoy. The second one is even cuter since it’s framed out. What about you? 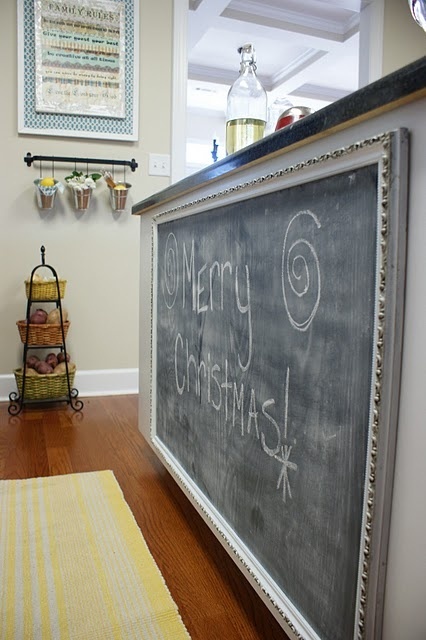 Have you found a unique way to use a chalkboard in your home or office? I’d love to hear about it. One of my favorite people on the entire planet is Pam. She is a friend to me, a mentor, an example of a Godly wife and mother and someone who has more sass than just about anybody I know. There are times that I get stressed out when planning an event and I have to emulate her “no big deal!” laid-back attitude. Typically for me it’s one of those “fake it ’til you feel it” situations. The first time I really got to know her was four years ago when she showed up to my sister’s surgery, over an hour away, having only met us once or twice, to sit with our family in the waiting room. She was the only person from our church who came, and I will never, ever forget that. When I was single, she gave me the BEST pep talks about it being for God’s glory and not because I had three foreheads – the kind that kept me going when two of my ex-boyfriends got engaged in the same week or when it felt like I would NEVER meet Mr. Right. Once I met Mr. Right, she and her husband basically adopted us into their extended family, along with a lot of other people they’ve adopted along the way. 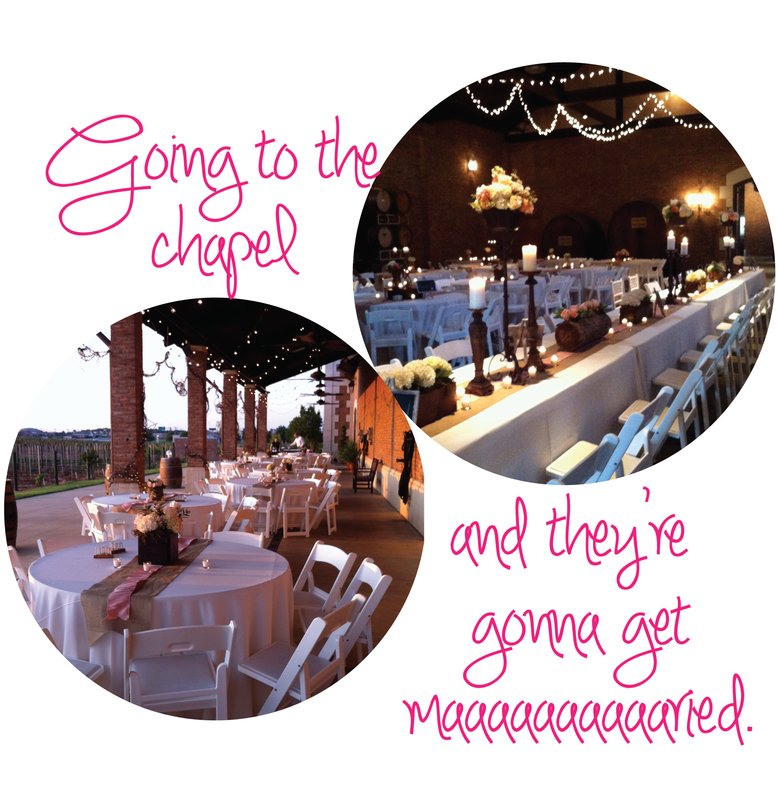 Pam is a women’s minister at church, but she also is a fabulous wedding planner. She planned my wedding, which was so gorgeous that the chapel coordinator called me later to tell me she wanted to hire Pam to do her own wedding – and she sees 3-4 weddings every weekend. It was to die for. So when she asked me to help coordinate her daughter’s wedding reception last weekend so she could do her mother-of-the-bride duties, it was a no brainer. I jumped at the chance (besides, both of her daughters worked at my wedding). I helped coordinate her other daughter’s wedding a few years back and it was an absolute blast. Both times she did all of the planning (and flowers) in advance, and then I helped set things up the day of the wedding so that she and her family could enjoy the day. This time Mr. Right came too, and I just loved serving alongside him, both of us in aprons and comfortable shoes, running all over the venue, him helping with the food and me helping with the decorations. Once the reception started, we bussed tables together and stole a few kisses and even sneaked in a dance in the kitchen. It was exhausting but also one of my favorite days in a long time. A total adventure. 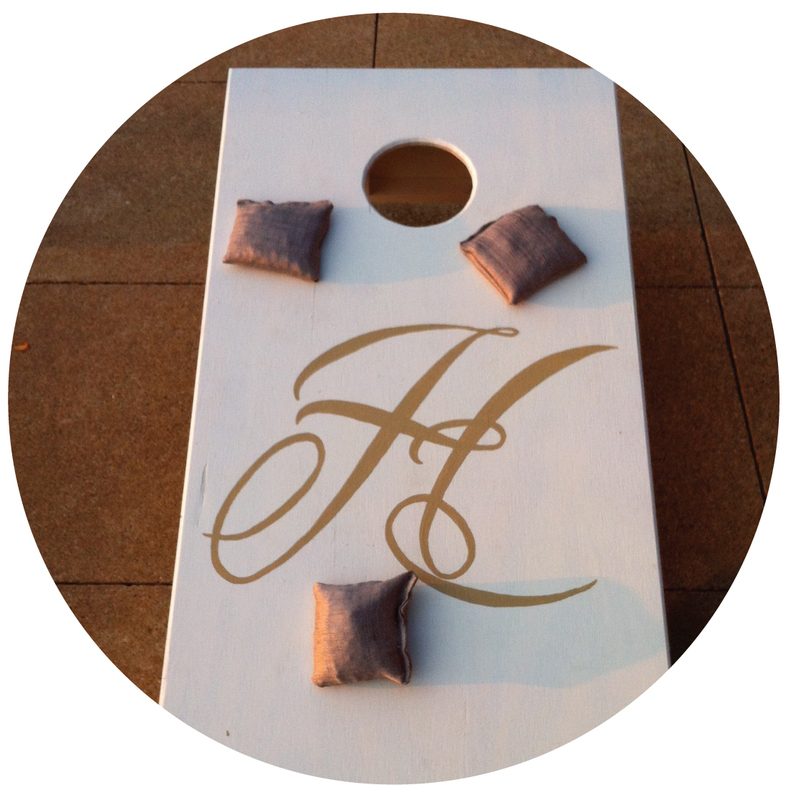 Oh, and I tried to help out by sewing custom bean bags for a corn hole game at the wedding. I was SO proud of my gorgeous handiwork, done in haste just a few hours before the reception. I patted myself on the back, congratulating myself on being such a fabulous seamstress, thinking that maybe someday I could sew hacky sacks for my children to play with. 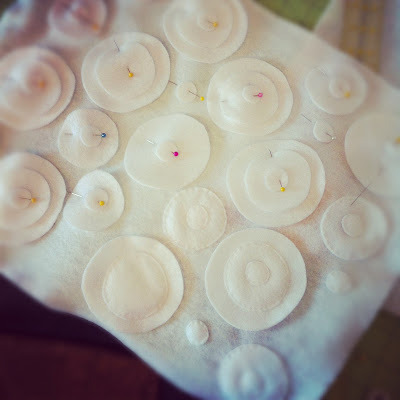 Those gorgeous custom bean bags ended up exploding all over the patio at the wedding, leaving hundreds of dry lima beans and a few very upset children. Turns out I could have made them a bit more durable. I think I’ll stick with quilts. Thanks Pam and family for letting us be apart of such a beautiful wedding. And I owe you three new bean bags! 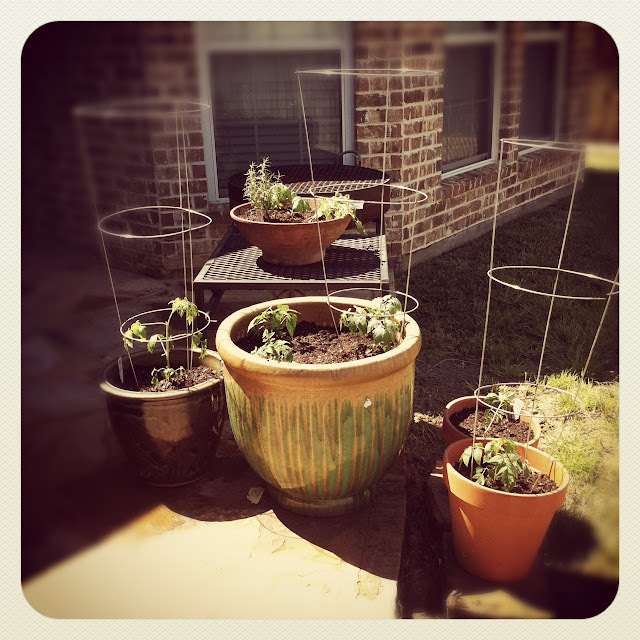 PS- Don’t forget to enter my contest for free Texas Lovely art! Details here. You know I love to quilt, but I’ve been looking for some quicker, less-expensive projects to serve as gifts (and who knows, maybe one day can go in an Etsy store to fund my fabric stash). I’ve had some ideas for pillows swimming around in my head for a year now, and finally had time between quilt projects to give two of them a try. 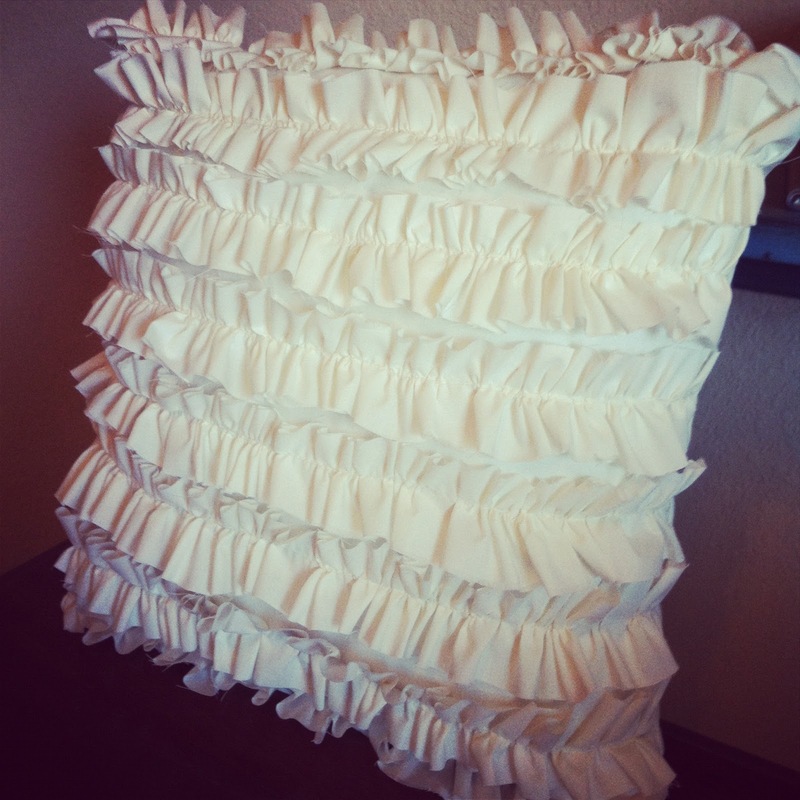 Lately I’ve been obsessed with ruffles and this gal was easy-peasy. 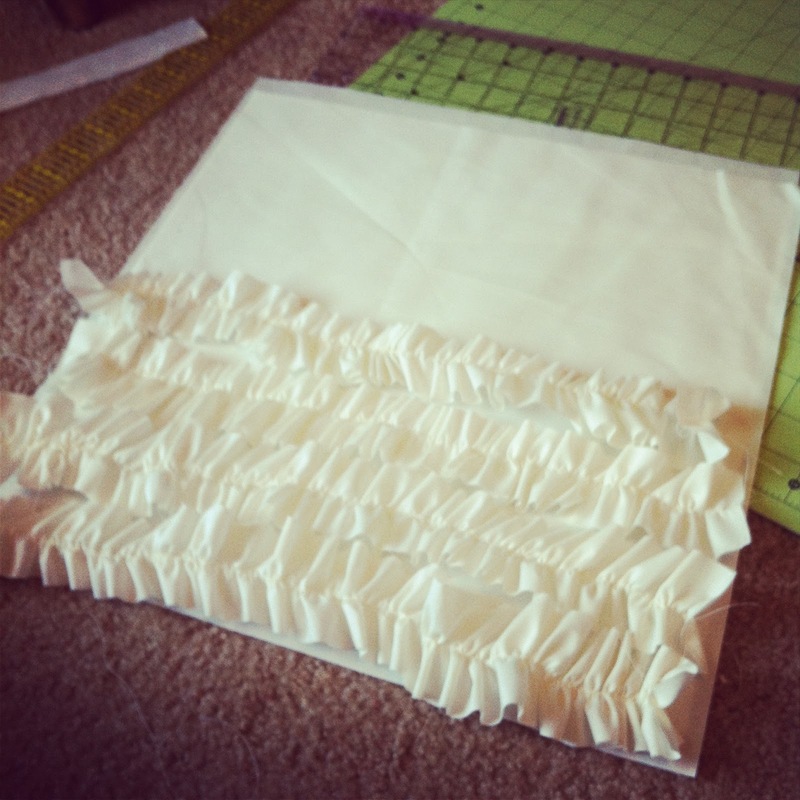 I just sewed up a stack of ruffles and then machine-stitched them onto a matching square of fabric. I used a light-weight cotton and hand-stitched it shut at the bottom. This became a birthday gift to a dear friend. 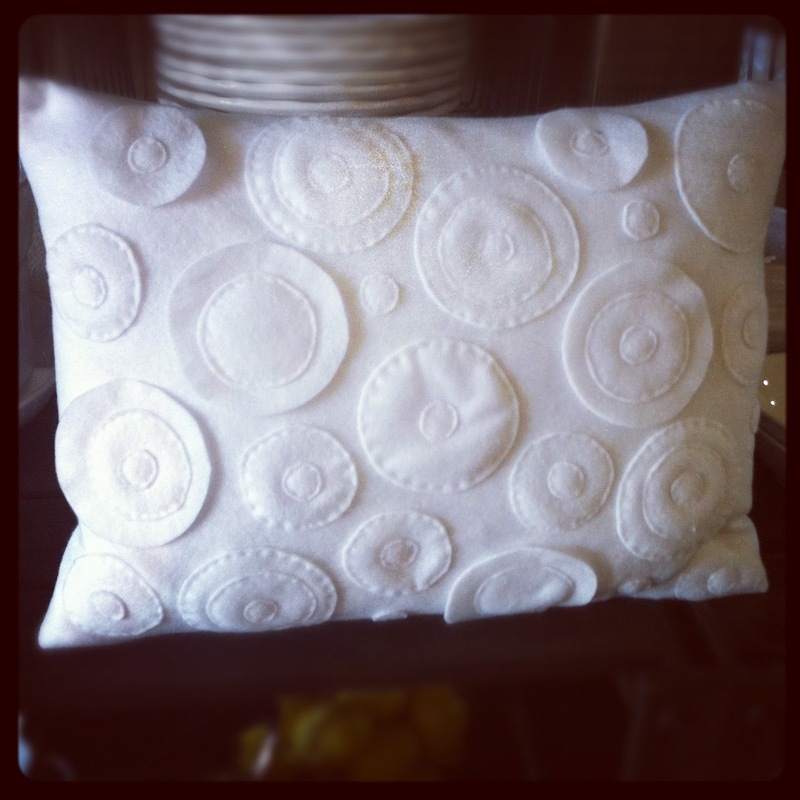 This pillow was inspired by a set of pillows we got as wedding gifts from Crate & Barrel. Ever since I got it, I’ve wanted to recreate it on a smaller scale. I just took some felt I had leftover from making a Christmas wreath, used a few items I had laying around my sewing studio to trace the circles, and then hand-stitched them onto a matching square. Next time I do this I’ll probably do it on my machine, but I was a little worried that my free-motion quilting might be a bit wobbly on those little circles. 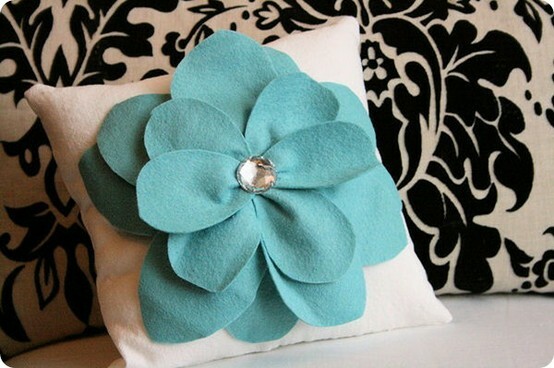 I think I may make some in red and white, or green and white, for Christmas presents. They would be so cheerful! 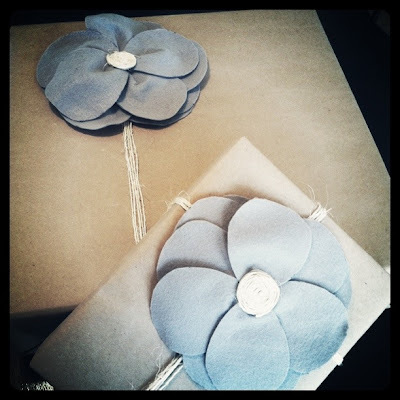 Lately anytime I have a day off from work, I spend it locked in my craft room, creating things. It makes my heart so happy. Good Friday was no exception. I finished my nephew’s baby quilt A WHOLE WEEK EARLY. Typically I finish quilts around midnight the night before I give them away, but my sister’s baby shower isn’t until next weekend, so I had time to spare. This was my fastest quilt yet… I started it March 10 and finished it April 6. I can’t WAIT to show you pictures of this adorable quilt made from vintage baby fabrics and featuring some of the straightest lines I’ve ever sewn. 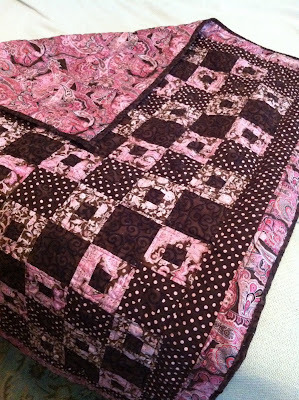 It was like a quilting miracle. I think it’s my fancy new machine. Now I just have to wait two more months until I can see Baby Luke use his new quilt. Gah, I am so excited to meet him. But I digress… I finished the baby quilt and still had some spare time so I decided to whip up a spring table runner from some old burlap I found on sale last Christmas. I also had some old white linen ruffles lying around that were leftover from my ruffled Christmas tree decorations. 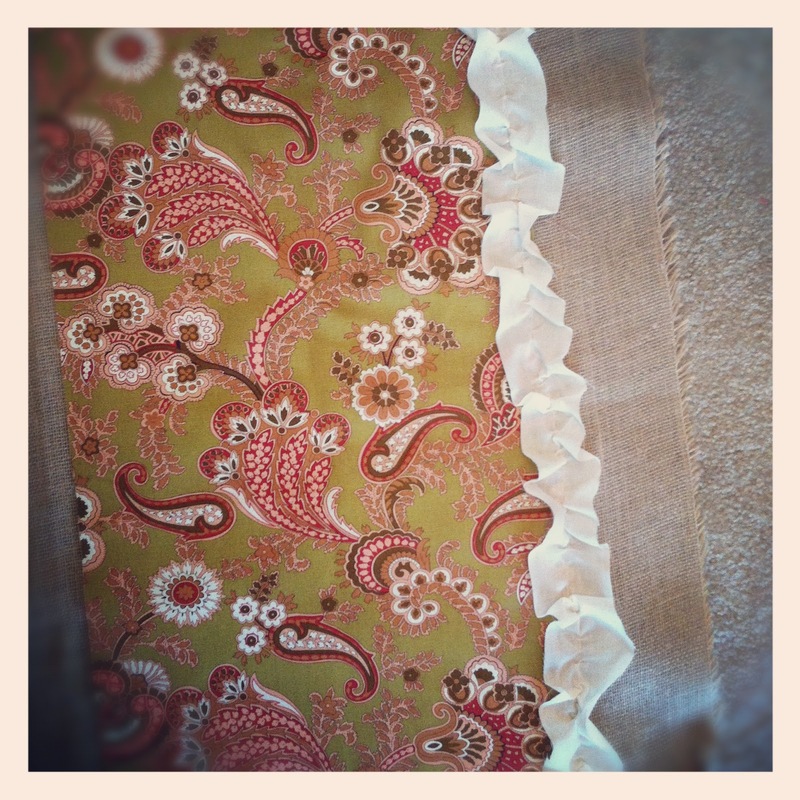 To make my table runner, I simply laid my patterned fabric over a wider burlap backing and then hand stitched the ruffle over the place where the two fabrics met, conveniently hiding the raw seams. My stitches were loose and messy, hidden by the very forgiving ruffle, and weren’t required to be very strong since it will simply sit on top of my table – durability isn’t a big deal. I could have sewn this on my machine but I didn’t want the rough burlap to dull my needle. 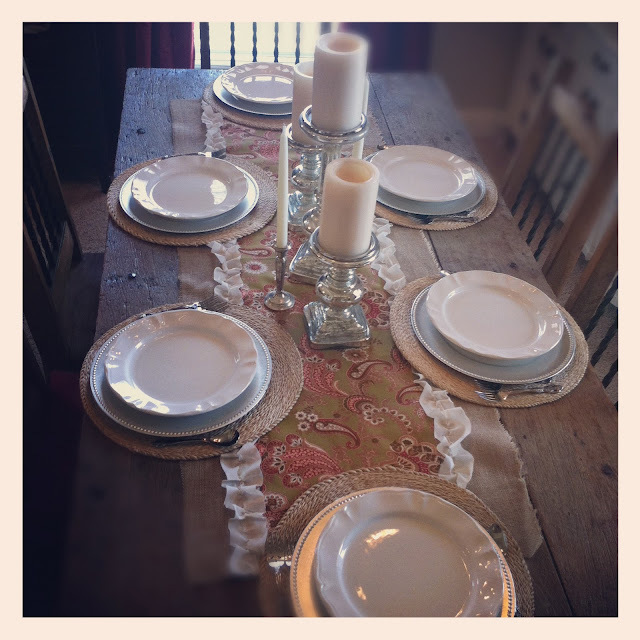 It’s a perfect fit for our beloved rustic barn table. Pottery Barn has a similar table (but not as cool as ours) for almost $2,000. I think Mr. Right paid $100 for his. I fell in love with the table (which features a frame made from real oxen yokes and handmade chairs) even before I started dating him… and now I have both! Sometimes you’re just lucky like that. If Martha Stewart were a rockstar flower and vegetable grower, I would be her… times seven. 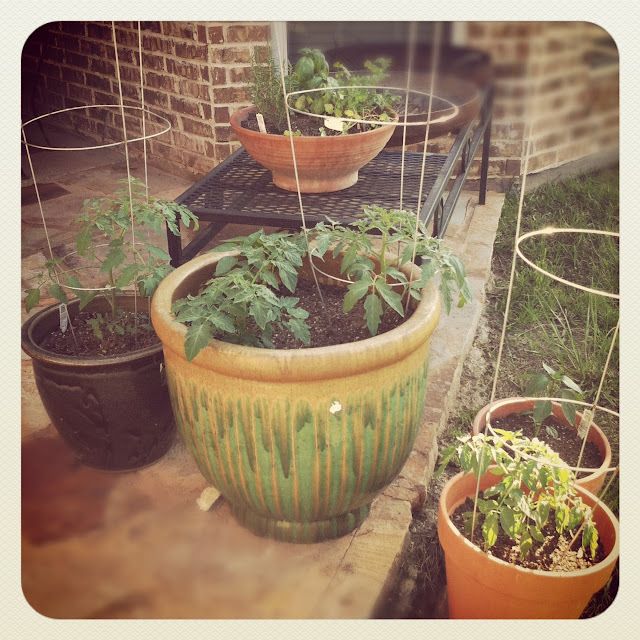 And here’s a picture of the same plants just one week later. Oh my word, it’s like they’re on steroids or something (I promise they would pass an unannounced drug test, unlike most of my favorite former Texas Rangers). I really can’t believe I didn’t kill them – I kill everything. One week down… a whole spring and summer to go. Come on little plants, you can do it! Be strong for mama! Since I’ve turned into such a master gardener overnight (I see you rolling your eyes…) I decided to go crazy and plant flowers in our front flower bed. 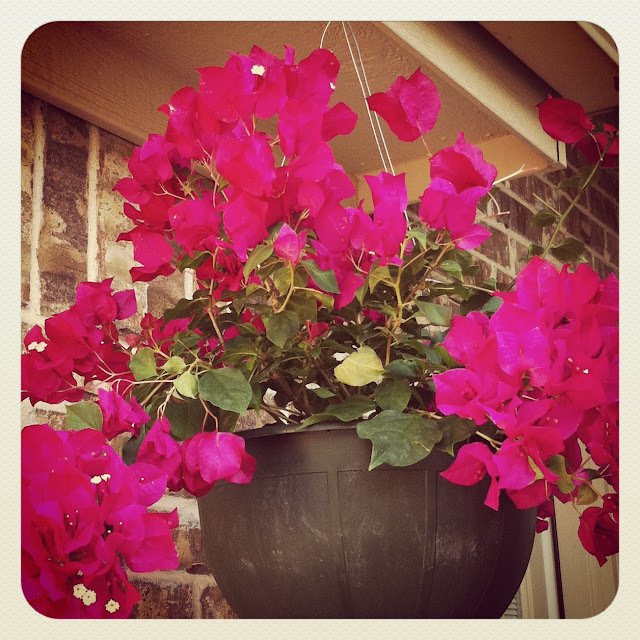 I went wild and bought wave petunias in my favorite color… pink. 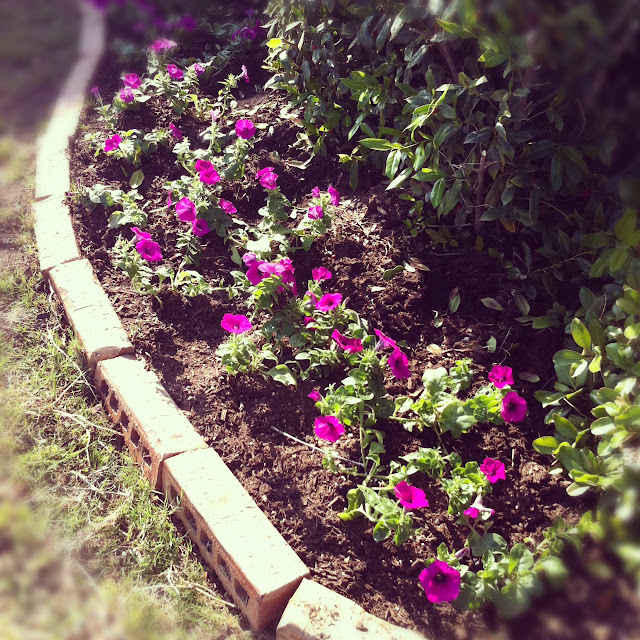 (I’d rather plant something more exotic, but I’m a realist… petunias are the easiest things to keep alive.) We’ll see if they make it a full week like my vegetables. I also bought a Bourgainvillea. When I was in the South of France a few years back these things grew to be HUGE – they took up entire balconies overlooking the Mediterranean. I’ll be happy if this little gal lives to see May (I had one a few years back and she died and rose from the dead several times over the course of a summer). She was a bit of a splurge – $34.99 at Calloways. I didn’t see a price tag, and when they rang up I was too much in love to put her back. She’s hanging on our back porch so I can enjoy her through my kitchen window. 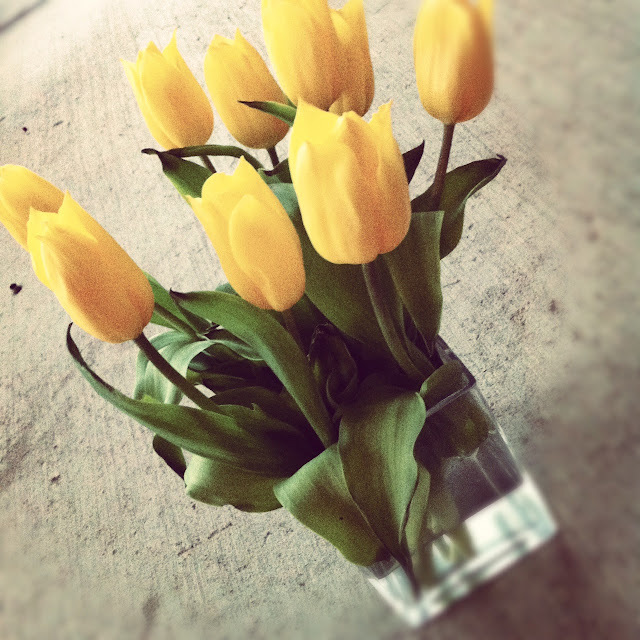 And of course I can’t leave out my tulips… a “just because” gift from Mr. Right on Friday. 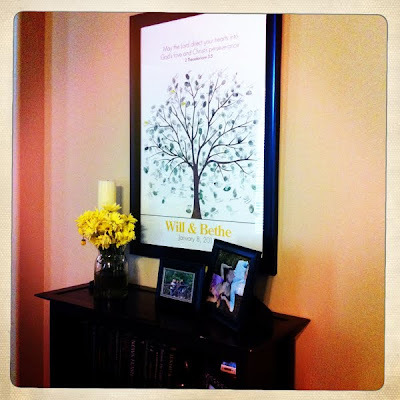 He knows that I love to keep pops of yellow flowers in our house, because they remind me of our wedding. Do you burn more calories when you heart is racing? It’s T-minus 12 days until a little party I’m throwing for 1,000 people. To get ready for this little shindig, I had to produce a 10-minute video. Hire a cake decorator from The Food Network. Work with the White House, the Governor’s office, and every elected official our hospital is connected to on the city, state, and national level. And ship some custom-made chocolates across the United States in a refrigerated truck. You might say I’m a little stressed. But I’m also so excited I can barely stand it. -I am now belting all of my flowy shirts so that pestering P-question goes away. -I finished my Pink Lady quilt… I’m so pleased, even though I learned a difficult lesson in binding the quilt… I stink at it. But it’s finished and next time, I’ll be hand-finishing that binding. 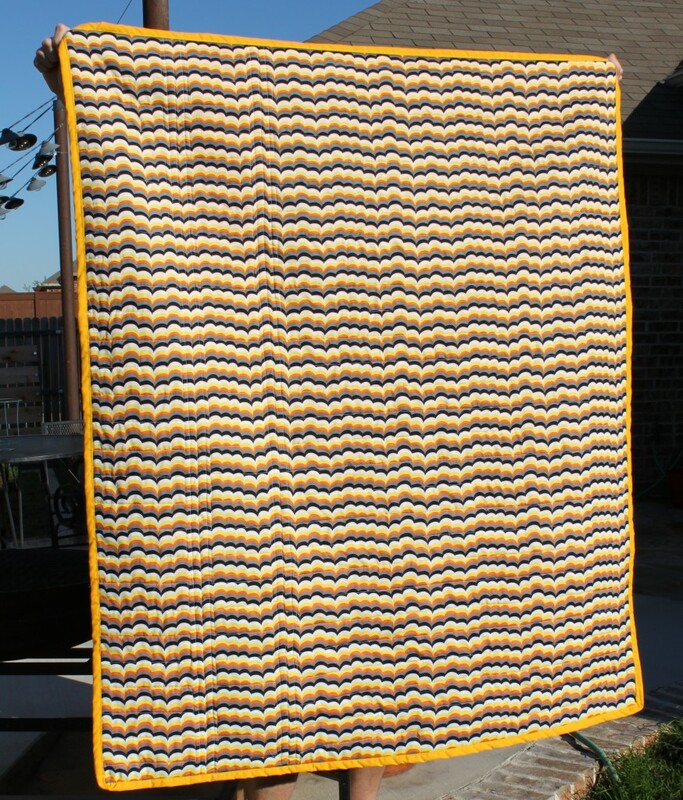 -I’ve already started on my next quilt… this one is a gift. I haven’t decided if I will go ahead and spill the beans early, or hold out and surprise my sweet friend who will be receiving it, and then just blog about it later. We’ll see if I can keep a secret (doubtful). -I’m taking Mr. Right on a surprise date this Saturday. He plans so many of these for me, and I’ve never planned one for him. I’m so excited, and I LOVE getting to tease him and watch him squirm – he wants to know SO BADLY what we’re going to do. Just between you and me – it’s going to be so. much. fun. -Next week I start teaching English as a Second Language classes at my church, just one evening a week. My life-long dream of being an English teacher is about to be fulfilled in a very unexpected way. God is so cool like that. I can’t wait to meet the women from all over the world who will be in my class. They don’t know this, but I’ve been praying for them for months. 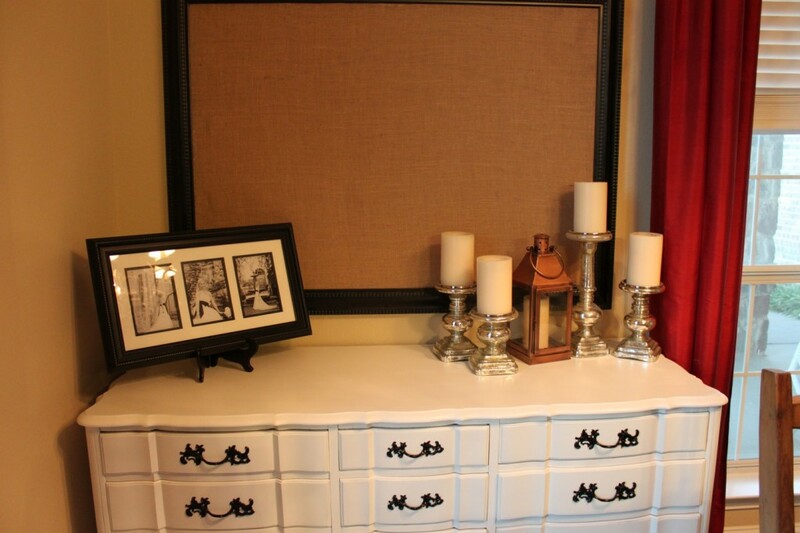 -We did a major house decorating update Saturday, for total cost of a can of spray paint. People keep donating the coolest furniture to us (thanks to our parents on both sides), and Saturday we finally put almost everything in its place, painted a mirror, hung pictures, and Mr. Right even built me a shelf from scrap wood he had in our garage. I am so pleased with the finished result, which includes a craft room for me! I now have a fantastic set-up for sewing and crafting in our back spare bedroom, including a dresser I’m using to organize all my supplies. Pictures coming soon. And Mr. Right has an even better-looking office with a vintage-lookig mirror he painted and stained. We realize that once we fill our home with children, my sewing room and his study will probably be relegated to our closet, so we plan to thoroughly enjoy the space while we have it. During the house decorating, Mr. Right hung up our wedding thumb print tree (we used this in place of a guest book at our wedding and showers… you can buy it off of Etsy) in our living room, and I was so happy to see it up that I cried. I know – I’m a bit sentimental, but seeing the signatures of all of our favorite people absolutely made my day. It’ll probably hang in our house until we’re old and gray, and then it will follow us to the nursing home. The verse on there is from 2 Thessalonians 3:5 – the scripture Will began secretly praying over me after our first date. Instead of making a pillow, as previously planned, I used to to make gift wrap for a 1-year-old’s birthday party and one of my best friend’s birthday presents (belated because she’s in El Salvador working in an orphanage, how cool is that?). Instead of using a gem for the flower center, I made my own center out of rolled-up twine and hot glue. Don’t you just love arts and crafts? I never thought I’d be grown up enough to own one house… much less two. Mr. Right and I currently own two houses – we had a “his” and “hers” before we got married, then combined into “ours” and after letting his old roommates rent “his” after we got married, we’re now ready to have just one. ONE. But before we can sell the house, we needed to give it a small facelift. He bought it as a foreclosure and did some major upgrading to it about two years ago. But after phase one, his plan was to start phase two… and then he fell in love with me. So phase two got put on hold. And here is how it has gone so far. Day 1: This is going to be a breeze. I bet I finish painting these two bathrooms before lunch – they’re small, how hard can they be? I’m going to be just like one of those girls on HGTV. Maybe I could start a design blog like this couple. Or this girl. Day 1… 10 hours later: Oh my gosh, what have I gotten myself into? After 10 hours of hard labor, all I have to show for it is one painted bathroom and a half-finished one? Seriously?! Thankfully I got to work indoors, whereas my husband spent those 10 hours doing major landscaping tear-out, then came inside to install new bathroom lighting. Day 3: My friend was so sweet to come help me paint the kitchen cabinets. See, this work stuff isn’t so bad! I bet it only takes two coats. Day 5: I’m smart – I downloaded a book on tape to listen to while I paint those cabinets. By the time I finish Water for Elephants, I bet those cabinets look amazing! But… not sure two coats will be enough. Day 7: Still working on those cabinets… and everything I own (including my clothes, my purse, my phone, my hair, my car, my dog) has white paint on it. And after the third coat… it still needs more. Day 8: I have the best mother ever… she worked a whole day helping me with those kitchen cabinets. And yet we’re still not done… uh oh. Who knew it would take one coat of primer and THREE coats of paint?! Day 11: My husband spends a whole day getting rid of junk left behind at the house, going to the dump, and doing various manly things around the house that involve copious amounts of sweat. For the record, he looks really cute in a tool belt. Day 13: Well, I just finished that 14-hour audio book… and yet the cabinets are still there. I may not see a swimming pool until July at this rate. Mr. Right grinds a stump and tills some dirt… more manly things that I’m thankful he knows how to do, because I don’t. Anxiety has started to build as I enter my third weekend of painting. Day 15: Kitchen cabinets are done! Now on to the 25 other projects on our list. Thankfully, my mom came back to prime bathroom cabinets, and my mother-in-law spent the whole day cleaning for us. My father-in-law helps us take down window screens so we can wash windows. My husband builds a fence. Oh, and the air conditioning goes out (just a minor break, praise Jesus), but $250 later, we’re back in business. After everyone leaves, I have a minor nervous breakdown about the 24 other projects still on my list. Somebody pass me some chocolate, or a Mexican wedding cookie (my current obsession). Day 16 (Today): I can completely cross off one bathroom and one bedroom off my list. And the kitchen. And the living room. And I’m about to cross off bathroom #2. Things are progressing… maybe we will finish this after all. I download another audio book. Tomorrow marks Day 17 of our extreme home makeover. For the first time since the morning of Day 1, I think I can see an end in sight. My hope is to be done next weekend. And after we sell, I can all but guarantee you that I will not (1) paint anything at my house this summer, (2) start a home renovation blog, (3) take my leisurely weekends for granted. I was in the laundry room, folding the last bit of our week’s clothes so I’d be READY to tackle my week. Organized. In control. Relishing a peaceful evening with Mr. Right. My wonderful husband was in the kitchen, making me comfort food (beef stew and cheesy cornbread because I’m sick… again). He walked into the laundry room, with a spoonful of stewy goodness, and sweetly offered me a taste. And just then I realized that the soup was SCALDING HOT. Probably the same temperature as the surface of the sun. It was so hot I had to spit it out, and the rest of the spoonful dripped down my face and all over the laundry room floor. After the burning stopped and Mr. Right knew the burns were only minor, we laughed. And laughed. Not exactly the way it happens in the movies.